A North American native, with tall unbranched stems topped with spikes of large pure white flowers. 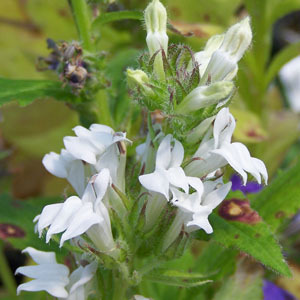 A white form of great lobelia. Categories: All Items, all potted plants, bee nectar plants, medicinal herbs, Potted Plants, More..